The Dower House Hotel at Woodhall Spa situated by the first fairway of the Bracken course at the National Golf Centre, Woodhall Spa – home of the English Golf Union. The Dower House Hotel is an elegant and intimate country house hotel, full of character and charm. Surrounded by two acres of tranquil gardens set in beautiful woodland, and approached by a tree lined private road, the hotel’s idyllic setting is the perfect backdrop for a romantic wedding. The hotel radiates atmosphere. Built at the end of the 19th century, this exquisite Edwardian house retains all of its original features. 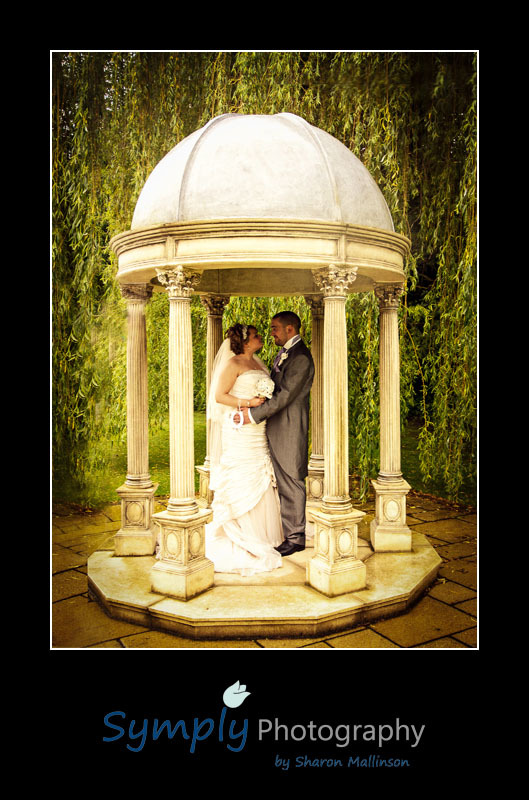 The cosy bar, Harry’s, the beautiful restaurant, the charming private dining rooms are all perfect places to have your wedding photographs along with the most romantic gazebo in the stunning gardens. The owners Liz and Simon, and wedding event co-ordinator Ann are attentive, professional and very experienced and work very hard to give you the wedding reception of your dreams. As an experienced wedding photographer at the Dower House, and one of their recommended suppliers, you can be sure your photography is in safe hands with Symply Photography. Whatever the weather the Dower House has plenty of choices to provide you with outstanding photos both formal and relaxed. Contact me now to discuss your wedding photography package.